Brrrr -- all this crazy snow across the country got us thinking about playing outside in the stuff when we were little. Our moms would pile on the layers: Shirts and sweaters, snowsuits and scarves -- no wonder once we got all bundled up we spent hours building elaborate snow forts with tunnels that stretched for blocks or sledding down hills until it got so dark we couldn't see our mittened-hands in front of our faces. It was just too much of a hassle to go back inside for a break. 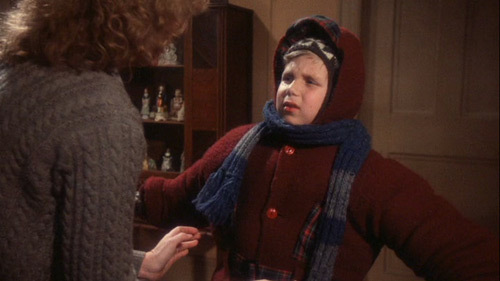 This classic clip from "A Christmas Story" pretty much sums up what it was like to be a kid in a cold-weather state. From bright red earlobes to frozen snot to getting my chin split open when a giant icicle dropped from the roof onto my face like a dagger, playing outside on the frozen tundra of Minnesota was full of memories for me -- most of them painful. How about you?